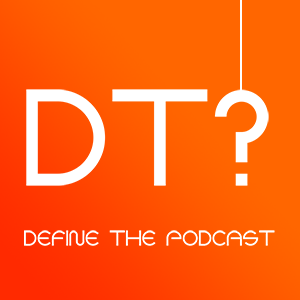 Hello and welcome back to Define, The Podcast! Last year DTP was an exploratory piece, focused on discovering what our hosts Jake and Ria are good at talking about and what viewers wanted to hear. Different types of topics were discussed, new formats were tried, and in the end it was uncovered that deeper, more philosophical and socioeconomic topics were best suited to our dynamic duo’s abilities. This was the end of Define The Podcast, and the beginning of Define, The Podcast (note the cool new comma). Join Jake and Ria this year as they dedicate their show to uncovering the deepest philosophical mysteries, and unravel the curious nature of humanity. Each episode focuses on a different complex topic for the hosts to debate, and a special post-produced element with unique opportunities for exploring the listener’s understanding of the issue. Be sure to tune into the livestream we host every week at https://www.facebook.com/definethepodcast/ to see us create the episode and directly impact the discussion! We appreciate audience feedback and encourage a discussion between/amongst ourselves and our audience. Give us a listen and see if you can keep up as we define anything and everything on the podcast.